1) Include 93% quartz crystal, 7% resin and a small amount of inorganic pigment, under vacuum condition and through heterogeneous material aggregation technology. 2)It is processed into fixed thickness products in high pressure, high grinding and polishing. 3) It's high percentage of quartz crystal ensures its hard and compact structure,which makes it incomparable in the resistance to abrasion,compression,scratch, high temperature, corrosion and penetration ,with excellent surface. 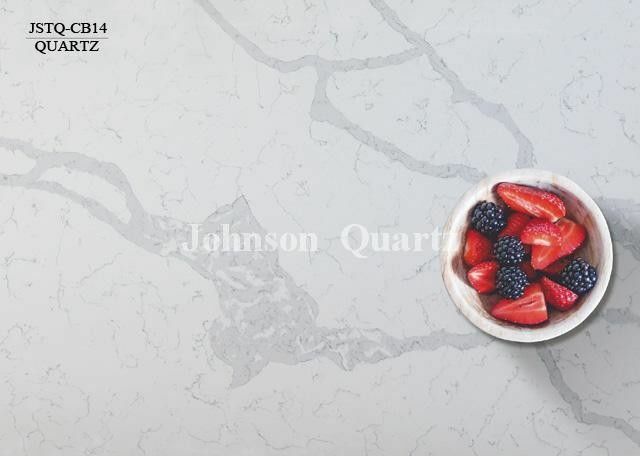 Artificial Quartz widely used in flooring, Countertops, wall-covering, vanity top, table tops, bar counters, and other decoration projects. Above quartz stone has already exported to many countries and got good feedback. Are you just looking for them? please feel free to contact us for your requirement for the size and quantity. Usuage: vanity top, table tops, etc. Tiles size: Main spec. : 30cmx30cm, 60cmx60cm. Tiles sizes:: main size: 30cmx30cm, 60cmx60cm.